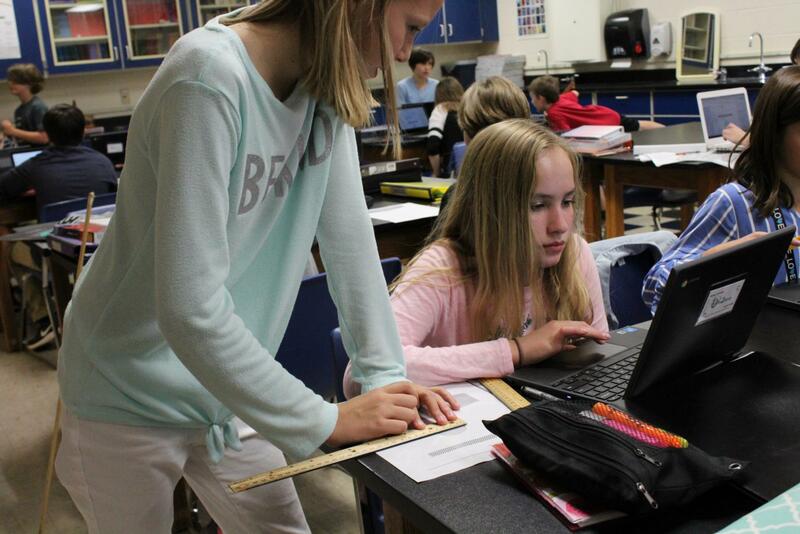 Self-selection AT became an option to students, here at East Middle School last year. Many students have taken this opportunity to join AT classes. AT social studies teacher Ali Sullivan believes that the ability to voluntarily be in an AT class has affected her general education (or gen ed) classes. AT involves being responsible and taking charge in your learning. You have to do school work on your own time out of school on extra work. That time is also used for extracurricular activities like volleyball, football, and many more. Eighth grader Rylea Beamish chose to be in AT classes for all her core subjects except for math. She said her extracurricular activities don’t get in the way, because there is homework but it’s not overbearing. If you don’t keep your grades up and extracurricular activities are getting in the way then you shouldn’t over schedule yourself. “Most of my AT students take my class seriously and are hard workers,” he said. They are hard workers. All teachers believe you can get an excellent education in gen ed classes. “The biggest difference between general education and AT is that, when an AT class walks in, there is just a general excitement about the lesson,” Sullivan said. Beamish likes being in AT this year. “I like the challenge and I like how everybody’s really dedicated,” she said. She didn’t qualify for AT classes under the COGAT test and so, she is happy that she was able to self select. Seventh grader Cooper Ribel believes that if he took the COGAT test and got in to AT, he would have gone in because he would have known he could have kept up with the workload. “I would probably would do AT just because I knew I was at that level,” Cooper Ribel said. But he didn’t feel confident selecting for AT on his own. Many students underestimate themselves and their ability to be in AT. Many students are capable of the challenges AT has to offer. The biggest advantage to advanced classes, according to Concordia University’s Room 231 blog for teachers, is that students learn how to work.